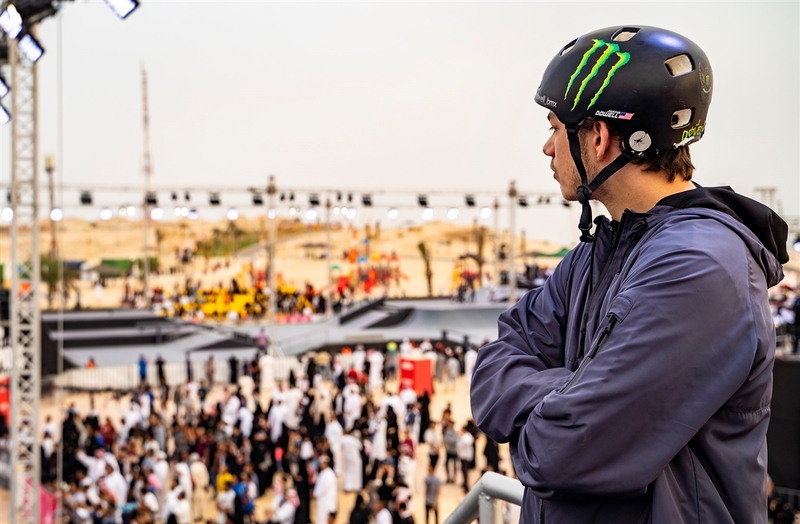 Monster Army's Justin Dowell headed to Saudi Arabia to compete at the Battle of the Champions. The current UCI World Champion, was invited to compete with the other top riders in the world for the title of "Champion." Hear about Justin's trip below. Tell us what “Battle of the Champions” means? How was this different from other FISE events? 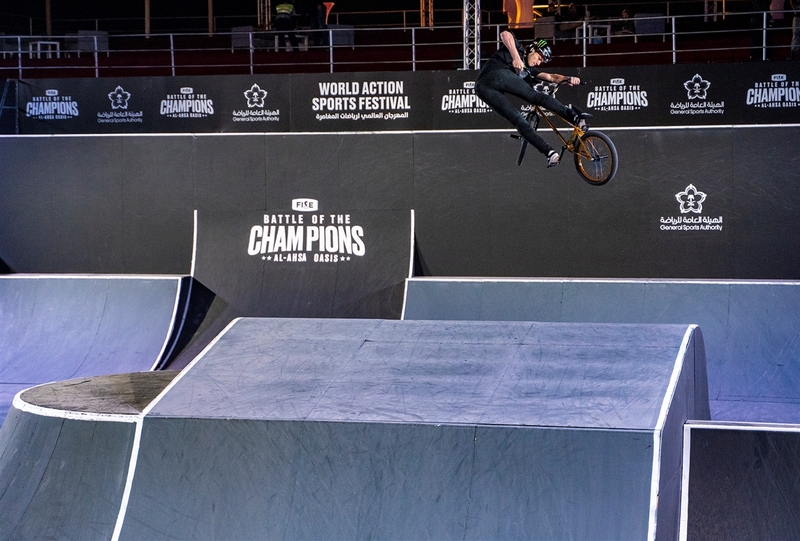 The "Battle of Champions" was an invitation-only event hosted by Fise. They invited the top 12 bmxers according to UCI ranking points (with a few exceptions). So it was weird not having to compete against over 100 people, this time I only had to qualify from 12 people, to 8 for finals. Being there, for me, was an honor knowing I am up there with guys I look up to. Was this your first time to Saudi Arabia? What did you think of the experience? Yes, this was my first time in Saudi Arabia. To be completely honest I was a little scared to go at first. I think there is a big misconception about countries in that area. From the moment I landed I was welcomed there. Everyone is so friendly and helpful. We were in a pretty small city so I didn't get to see much of it, but the view from the event was beautiful. We were elevated at the event so we could overlook the city and it was an Oasis. I would definitely go back! Next for me is more training and more competitions. Fise Hiroshima is under a month from now and I am super excited. The Saudi Arabia stop didn't count toward UCI points but it helped me realize where I am at and what I have to work on. 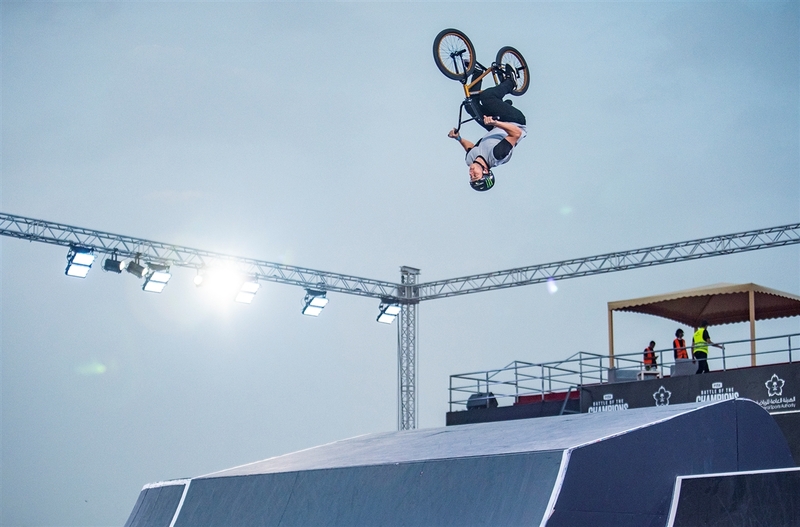 After Japan is Fise Montpellier and there is some C1 events in between. As competition season heats up I am becoming more and more busy. Anything you’re working on that we should keep an eye out for? I am not really working on anything at the moment, just trying to stay consistent and healthy. If you just follow my instagram you can keep up with where i am riding and what I'm doing (@justindowell_bmx). Other than that I'm excited for the competitions to start rolling in !